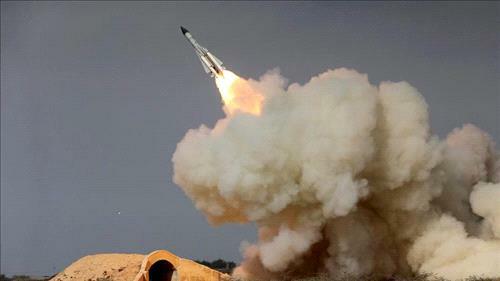 AMMONNEWS - Iran unveiled a new cruise missile with a range of 1,300 km (800 miles) on Saturday, state television reported, as the country displays its weapon capabilities during celebrations marking the 40th anniversary of the 1979 Islamic Revolution. “With a range of more than 1,300 km ... this cruise missile needs a very short time for its preparedness and can fly at a low altitude,” Iranian Defense Minister Amir Hatami said in remarks carried by state television during the unveiling ceremony. Hatami said the new surface-to-surface missile, named Hoveizeh, was from the Soumar family of cruise missiles, which were unveiled in 2015. Western experts say Iran often exaggerates its weapon capabilities, although there are concerns about its long-range ballistic missiles.